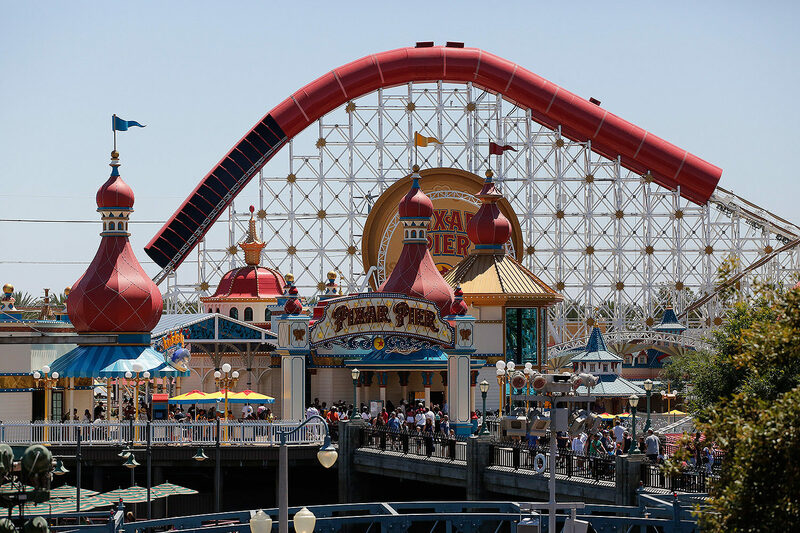 Today is Disneyland’s 63rd Birthday, but we’re finally taking a look at PIXAR PIER at Disney California Adventure, an update to a land themed to the seaside amusement parks of California. 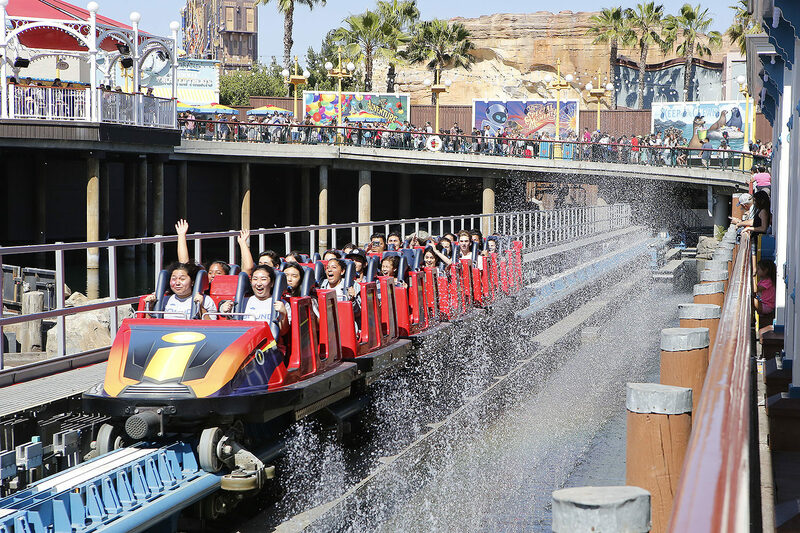 The land that was originally known as Paradise Pier just happens to be the land that has gone through the most ‘updates’ in the history of the park, though none as drastic as Buena Vista Street replacing Sunshine Plaza or the addition of Cars Land. But it begs the question: will this update finally stick? 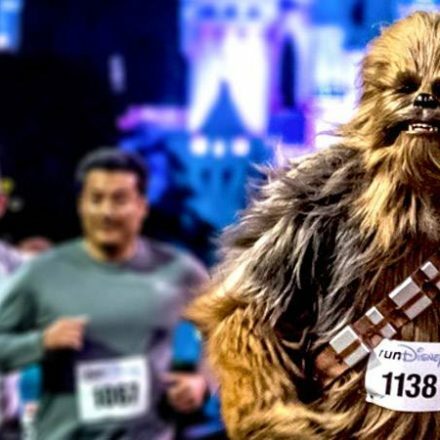 We’ll take a look briefly at some history of the land before we take a look at what’s currently offered as well as what’s to come. 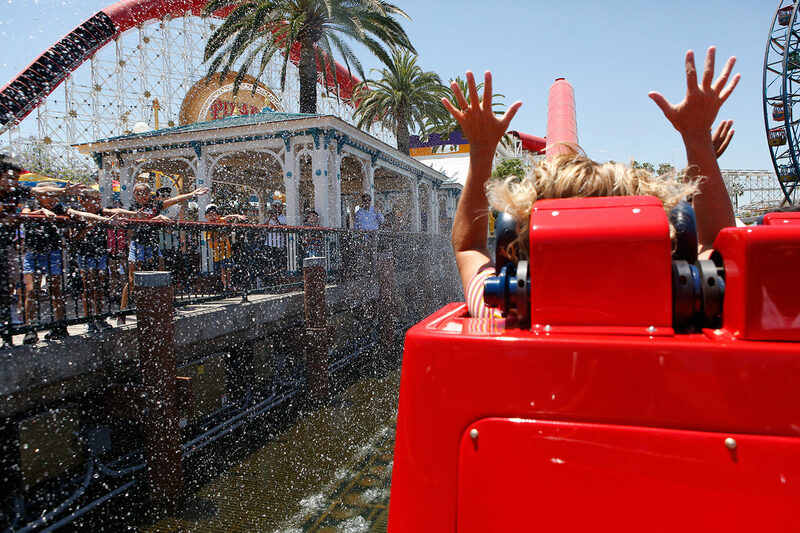 When Paradise Pier first debuted in 2001 along with the rest of Disney’s California Adventure (later becoming Disney California Adventure), it was looked upon as something of a tragic combination between the nearby Knott’s Berry Farm (which does have a Boardwalk area) and Six Flags Magic Mountain (which has coasters and carnival rides). 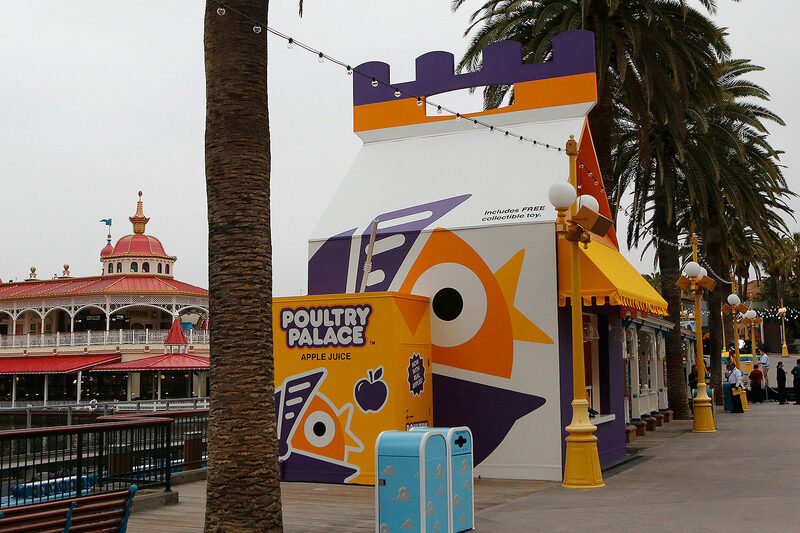 The reason for this were the cheaply designed exteriors, the generic non-Disney themed eateries and shops, and the rides that weren’t intended for the entire family. 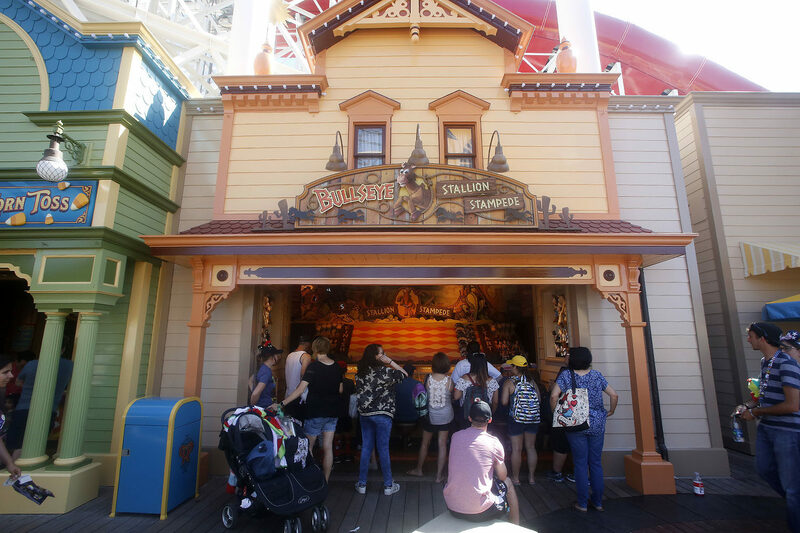 Not that there’s anything wrong with having some thrills here and there, but there’s only so many spinners a family can take before wondering where Dumbo went. 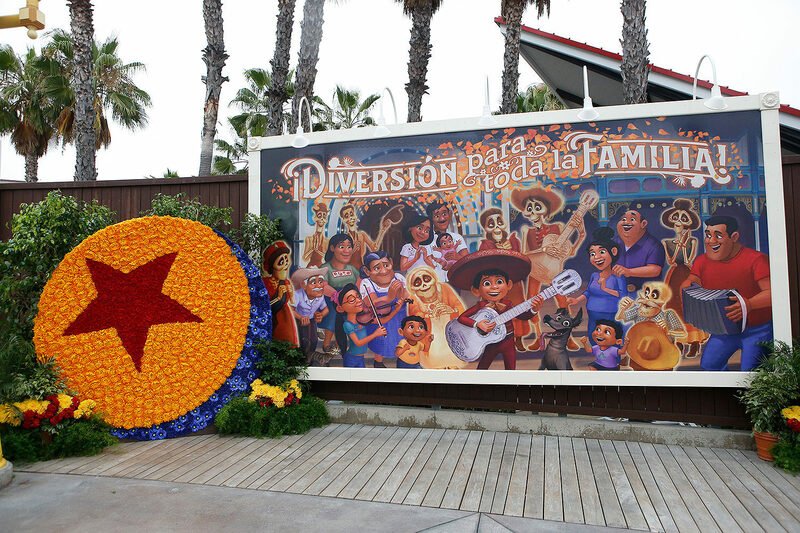 There was another problem with Paradise Pier in that it was inspired by a real place, much like Main Street, U.S.A. But on Main Street, shops are shops, restaurants are restaurants, and horse-drawn carriages were in fact horse-drawn carriages. 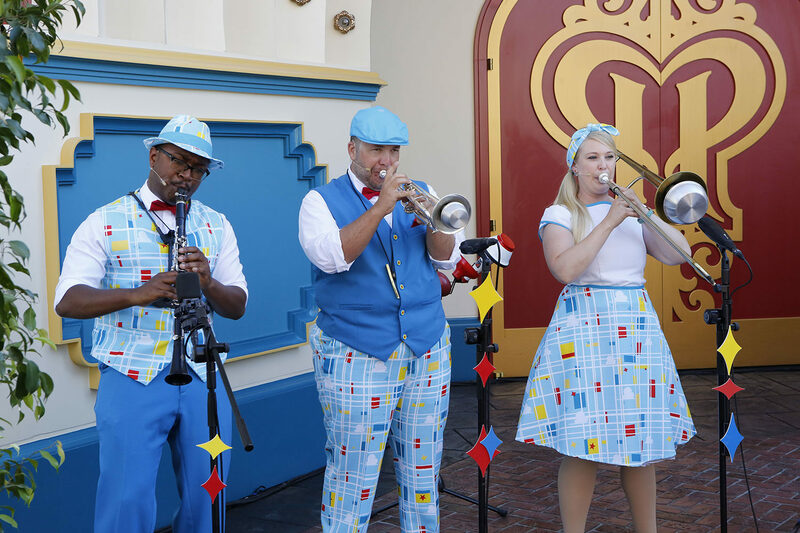 There is no illusion that Main Street, U.S.A. was anything but a turn-of-the-century town. 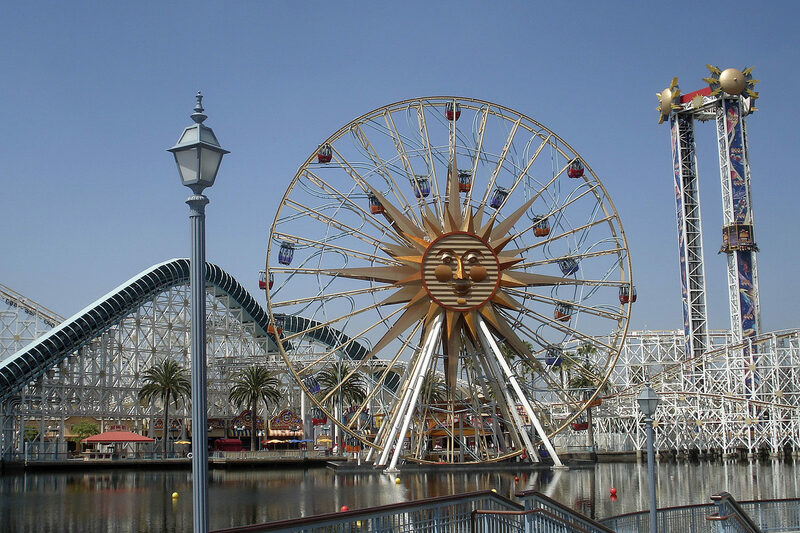 So in that same line of thought, what was the magic or allure of Paradise Pier? 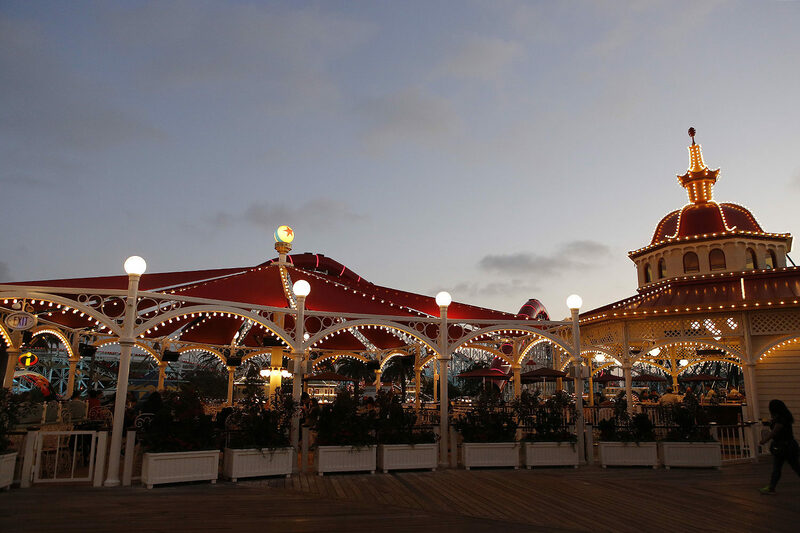 At a real seaside amusement park, shops are shops, food was food, and rides were rides. 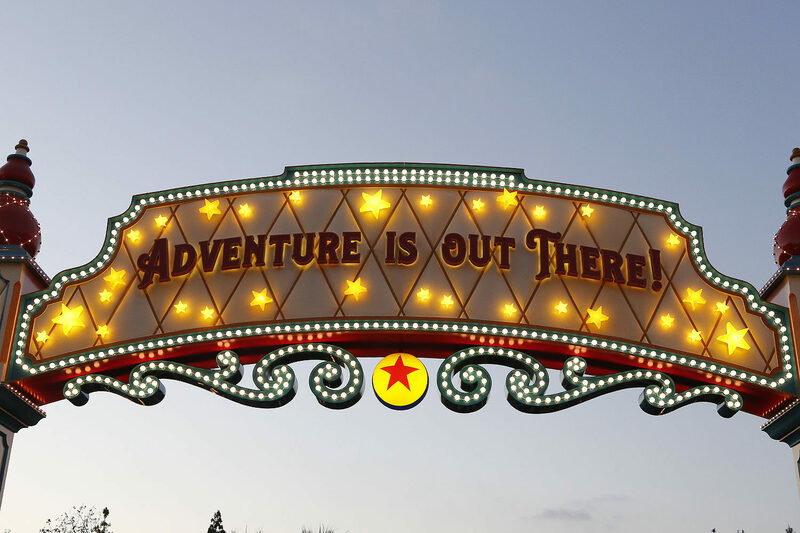 Not “attractions”. 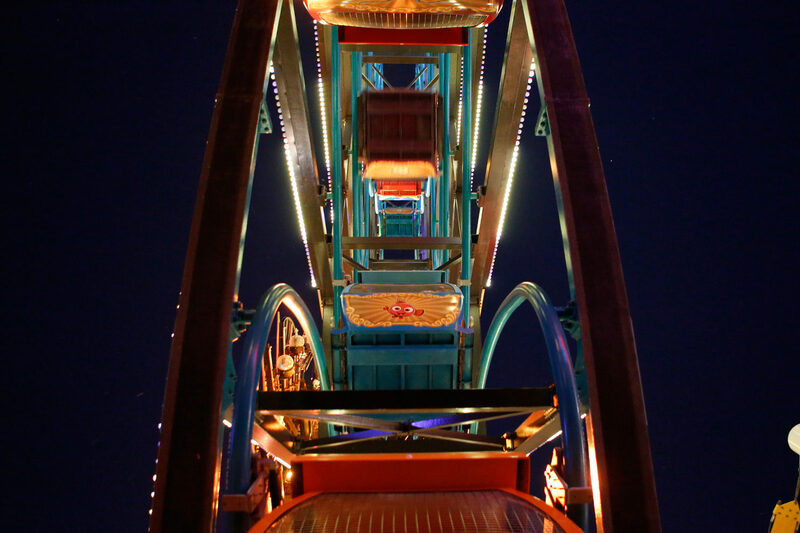 …Rides. 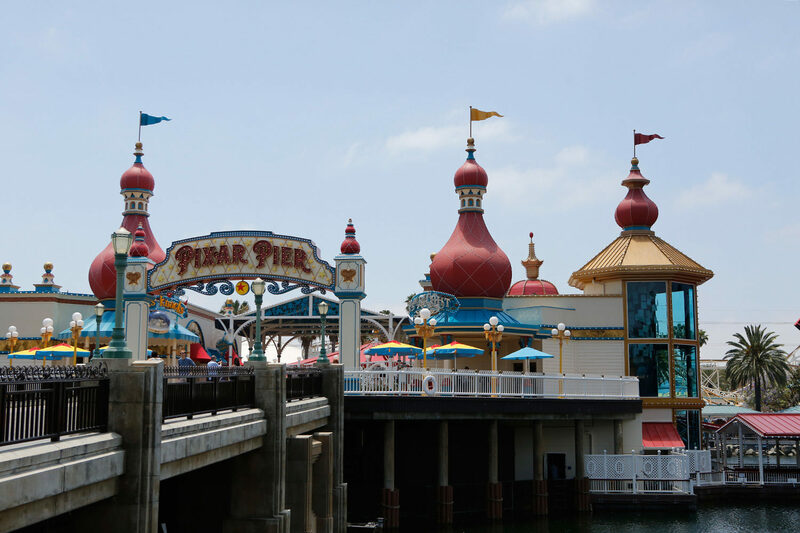 The failure of the Paradise Pier concept was that it not only failed as a land that rose up to the quality we expect from Disney, but it also failed to transport guests to that turn-of-a-century amusement park in its hey-day that was originally promised. 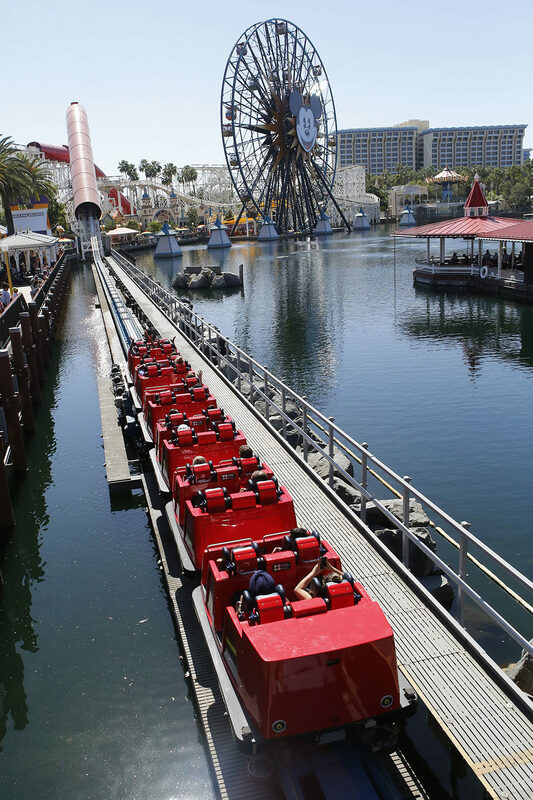 The only illusion provided was that the wooden coaster was in fact a steel one. 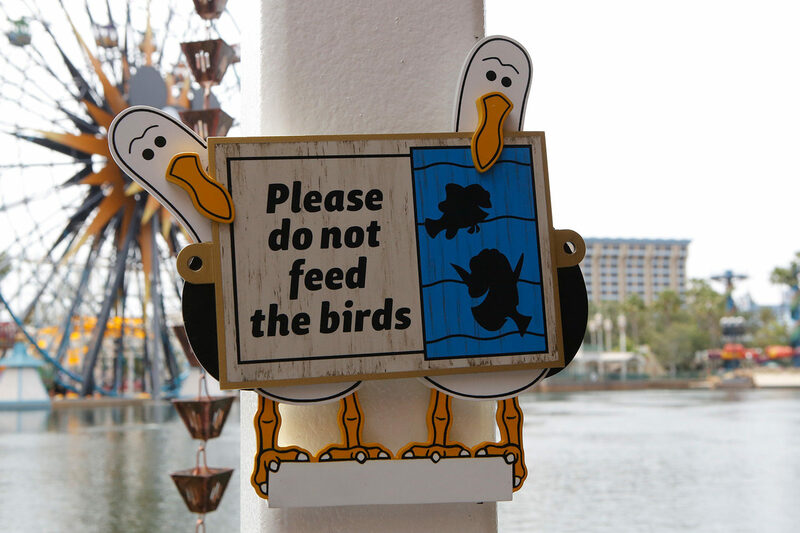 By 2009 and 2010, much has changed with the removal of many of what made the park seem so tacky to long-time Disneyland fans. 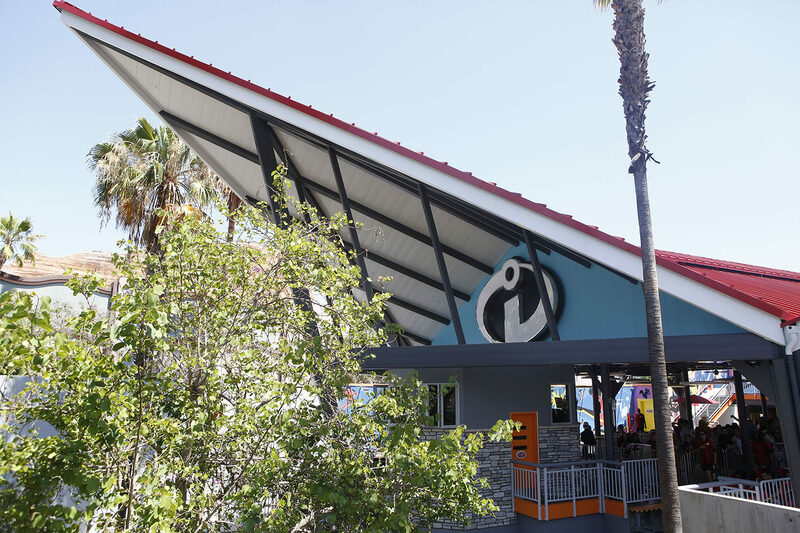 The thrilling but lacking Maliboomer was removed, and finally gone were eateries such as Boardwalk Betsy’s World Famous Strips Dips ‘N’ Chips and Malibu-Ritos. 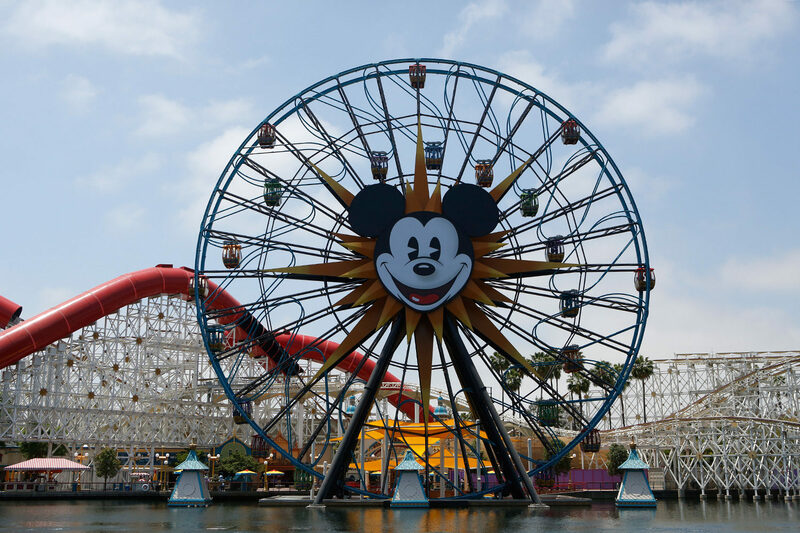 In came Mickey Mouse on Mickey’s Fun Wheel (replacing the Sun Wheel) and the extremely popular Toy Story Midway Mania was added. 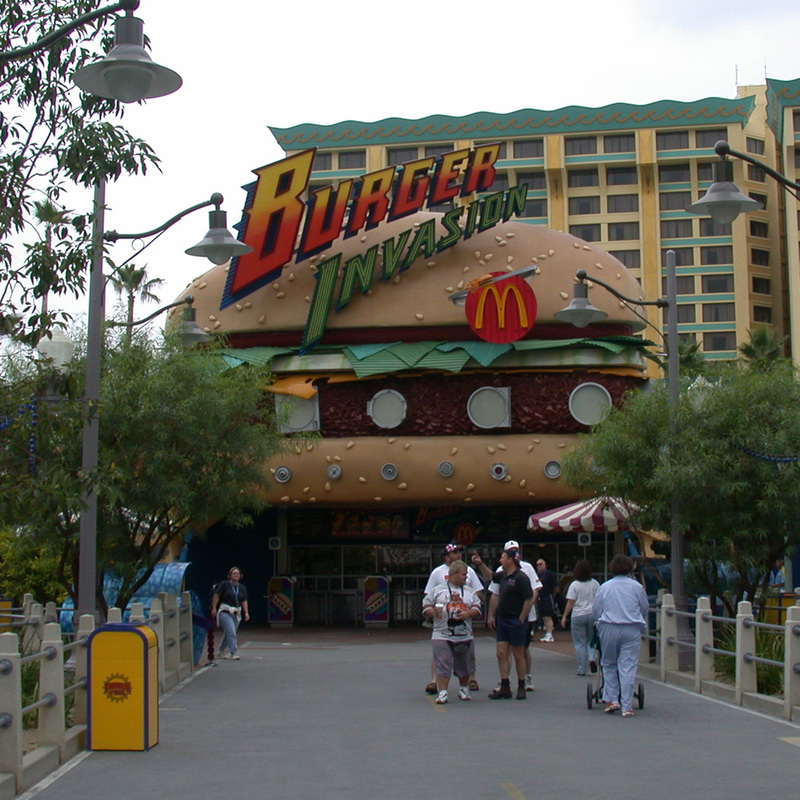 Even the neighboring Orange Stinger became Silly Symphony Swings and a much better looking Boardwalk Pizza & Pasta and Paradise Garden Grill facility anchored the west side of the park, replacing a McDonald’s location in the process. 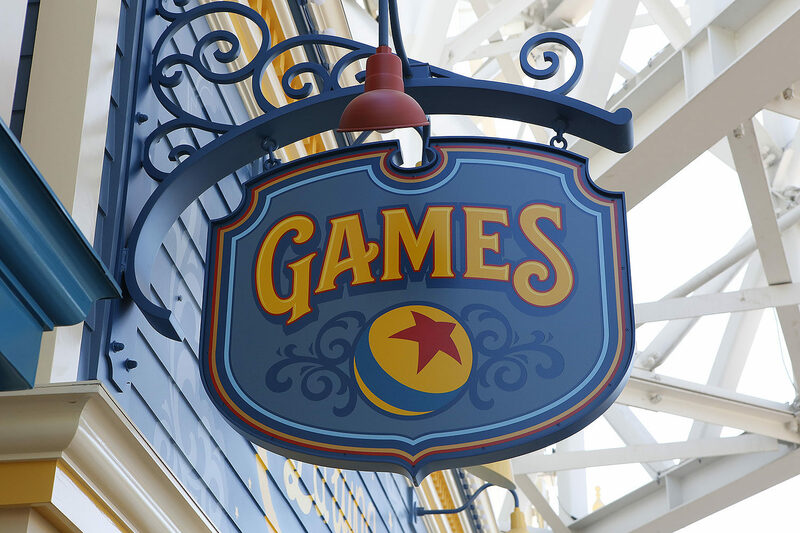 Disney and Pixar boardwalk games were also added to the land with unique prizes, making it a fun addition and with the new spectacle of World of Color dazzling the park in the evening, the perspective of Paradise Pier finally shifted for the better. But it wasn’t enough! 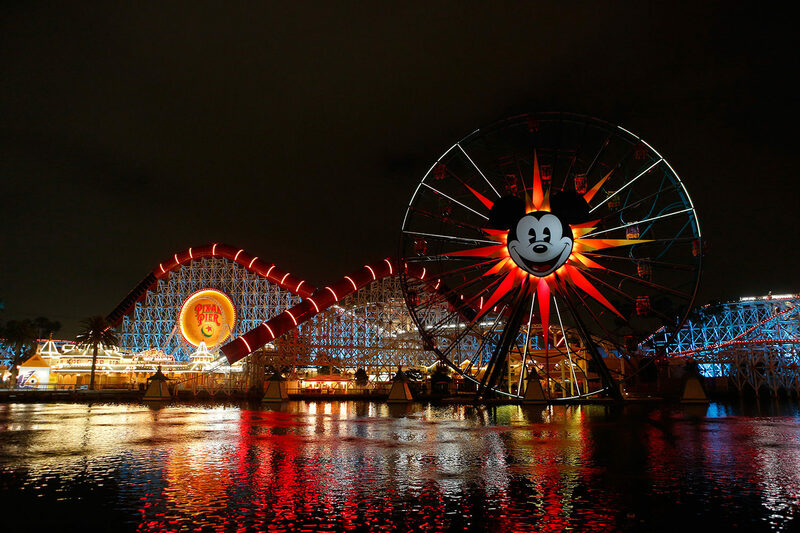 To see more of what Paradise Pier looked like right before closing, click here! 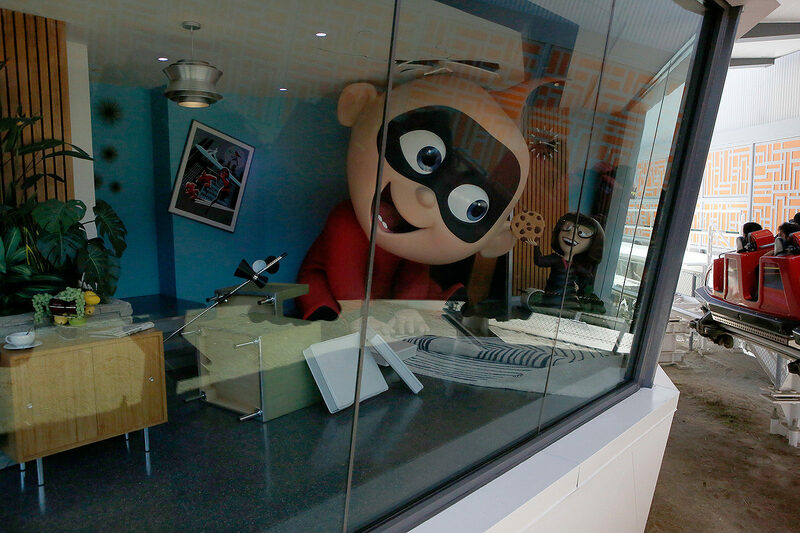 Pixar Animation Studios, certainly one of the most popular and successful animation houses around, is beloved by fans world wide. 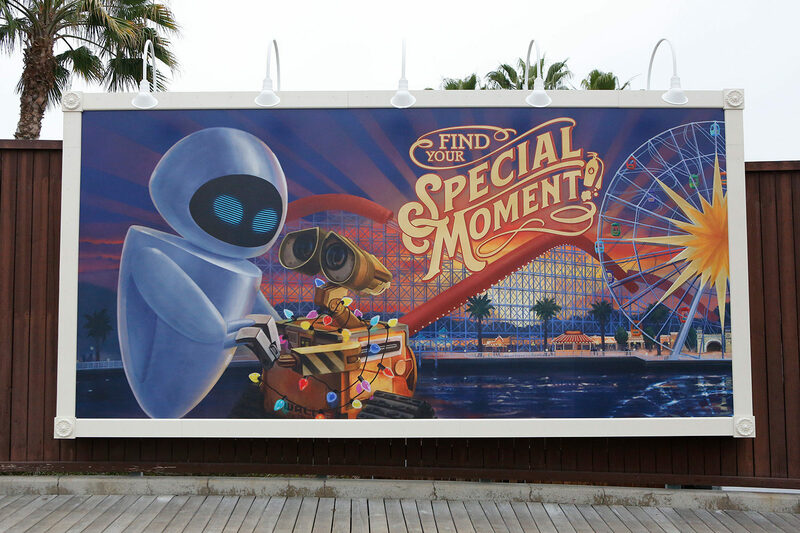 Attractions and restaurants featuring Pixar characters can be found at EVERY Disney Park. Disneyland and Disney California Adventure prior to Pixar Pier, devoted attractions from Pixar throughout, with Finding Nemo Submarine Voyage and Buzz Lightyear Astro Blasters in Disneyland and A Bug’s Land, Cars Land, Toy Story Midway Mania, and Turtle Talk with Crush at Disney California Adventure, just to name a few. 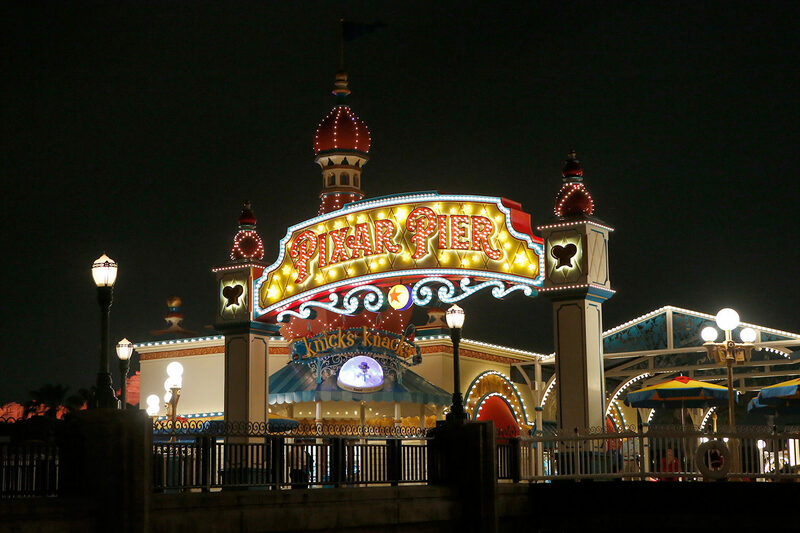 The decision to change Paradise Pier to Pixar Pier wasn’t met with unanimous celebration but rather pause. 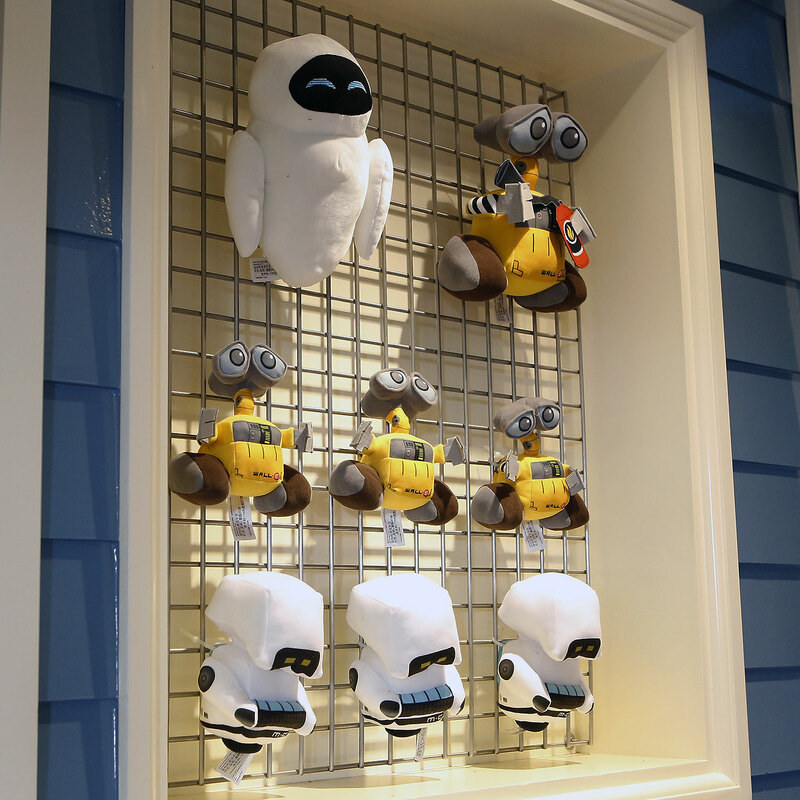 Wouldn’t it be better to insert more Pixar in along with Disney? Wouldn’t that be true Paradise? Wasn’t there too much Pixar already? 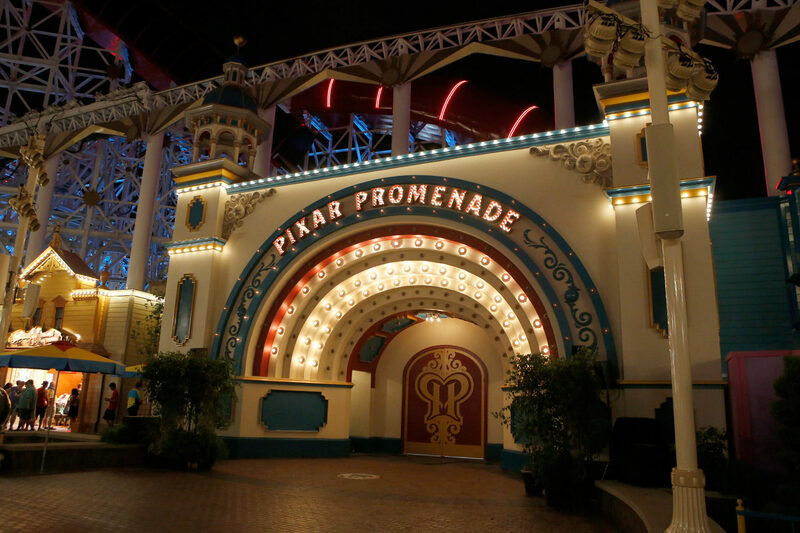 As you approach Pixar Pier, you can certainly get a sense that the Imagineers have upped the style of the pier. All the signage got the true turn-of-the-century look that we probably should have seen in 2001. 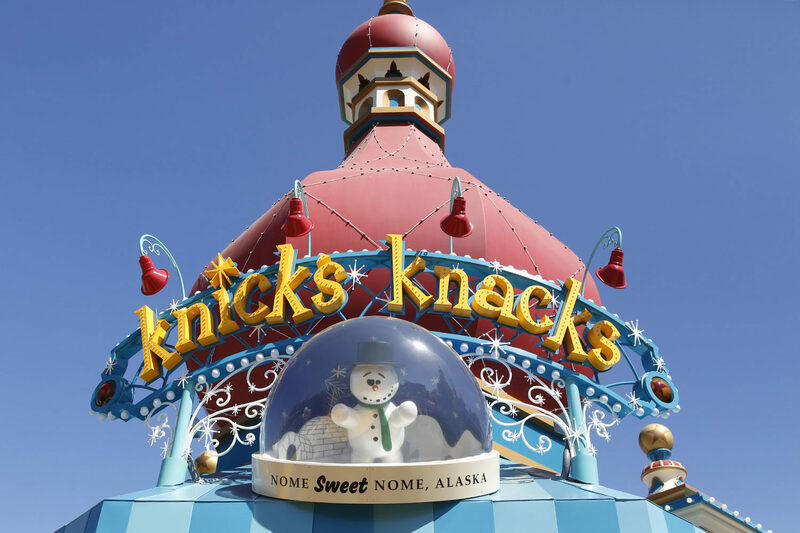 Knick’s Knacks is the shop on the left for all your Pixar needs, from art work, plush, apparel and accessories; and Lamplight Lounge is the table service restaurant and bar on the right. 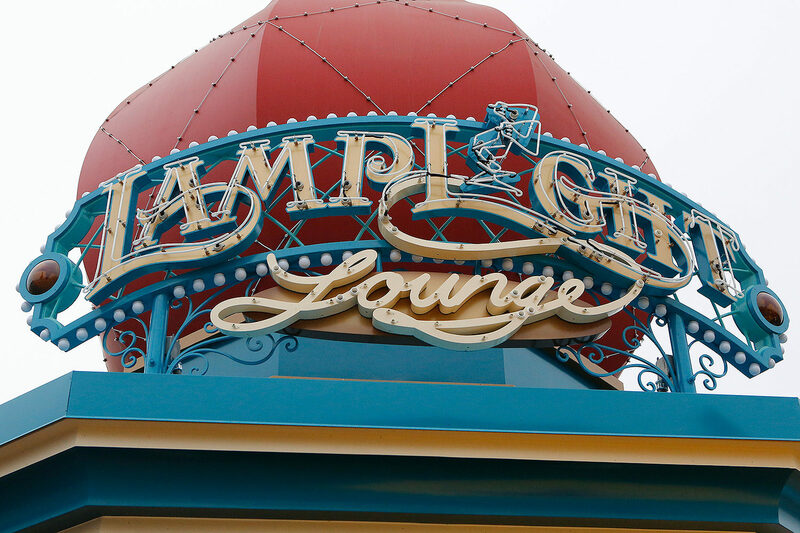 Lamplight Lounge is quite possibly my favorite change in Pixar Pier. 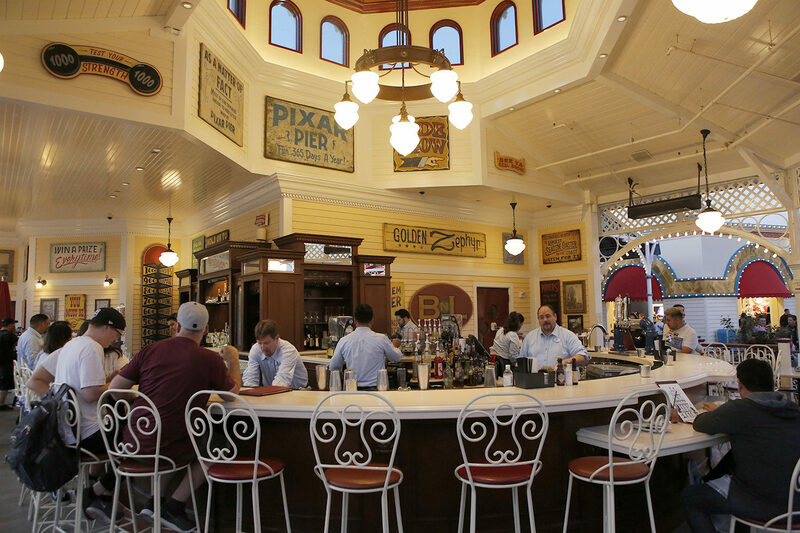 Prior, it was Ariel’s Grotto and Cove Bar, two very different sides of Disney Dining. 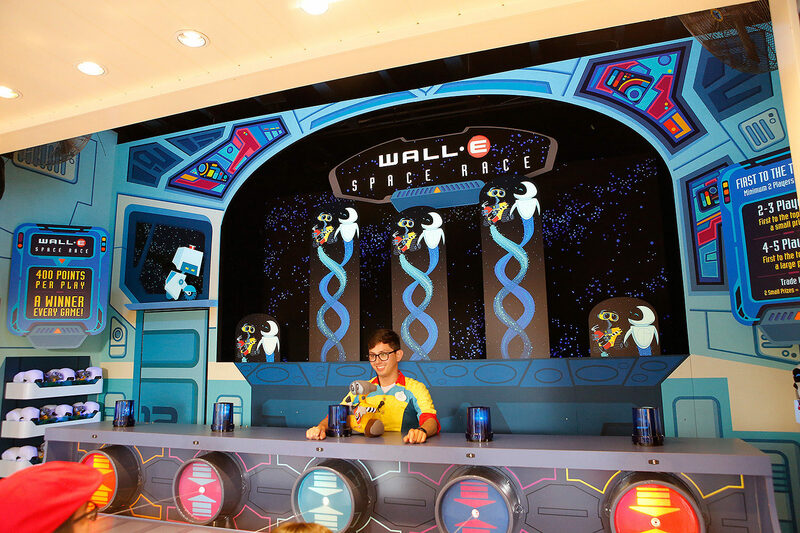 One was a character dining experience for the kids, the other was a bar. 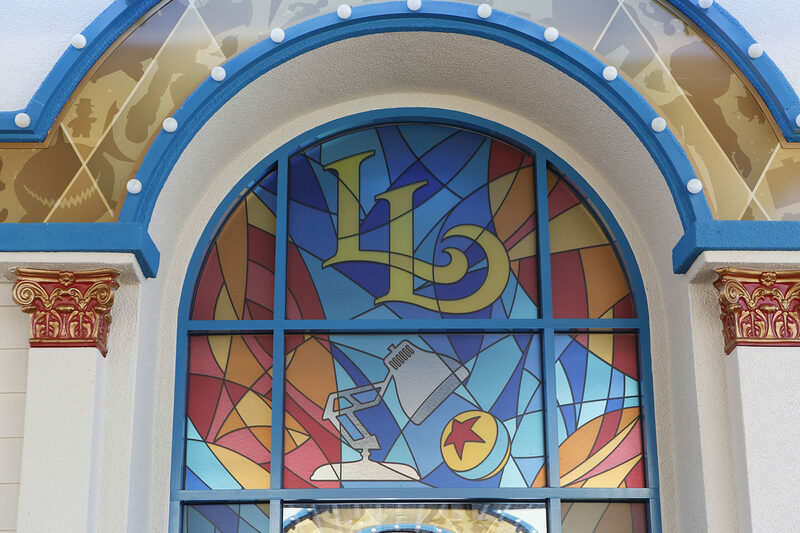 Now with Lamplight Lounge, everything has been incorporated into a more adult-friendly lounge with good food, a lot of unique cocktails, and plenty of Pixar details everywhere. 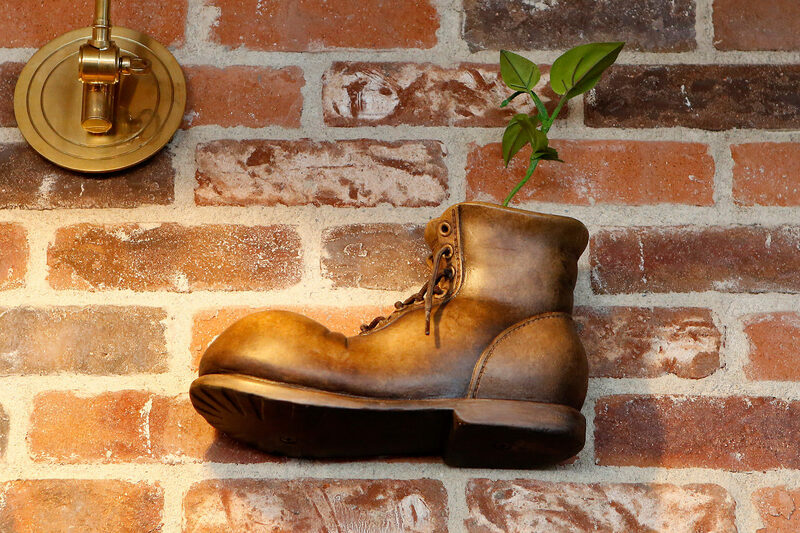 When you enter the restaurant from the upstairs, you’re confronted by conceptual art from the Pixar artists. 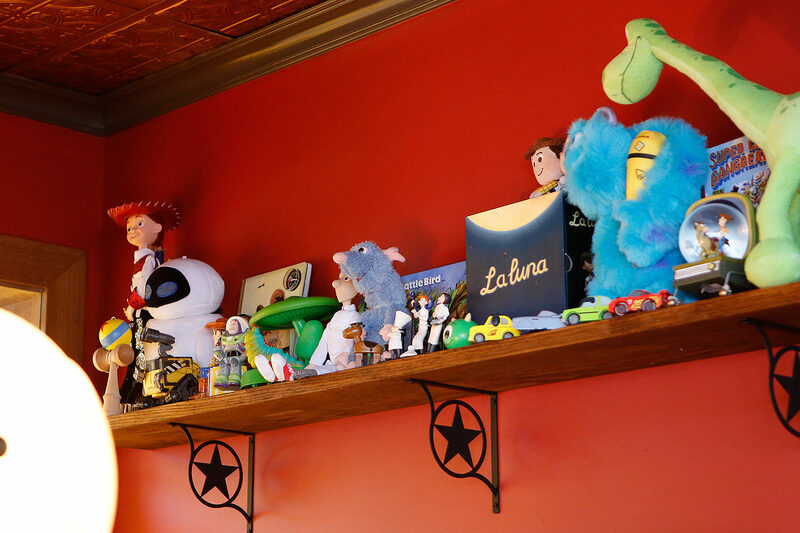 As you venture further downwards towards the main dining room, you’ll see more decor from the most recent Pixar films, but also some classics as well. 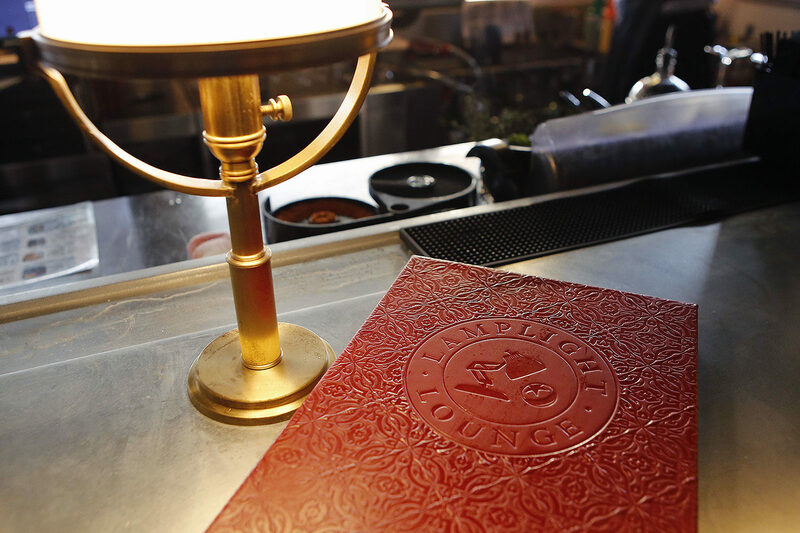 The food is on the pricier side, but it’s excellent. 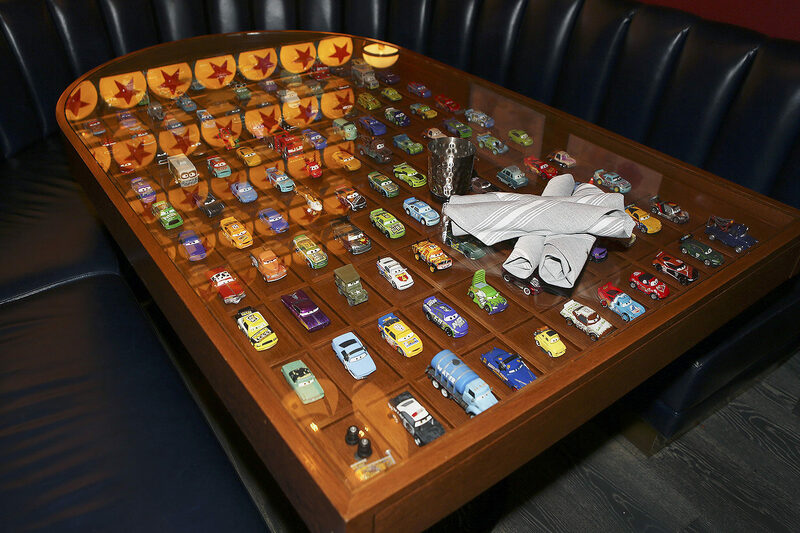 The cocktails too received a lot of care in their presentation as well as their naming, being either a general film reference (The Teaser, The Short, Over Budget, etc) or a Pixar reference. 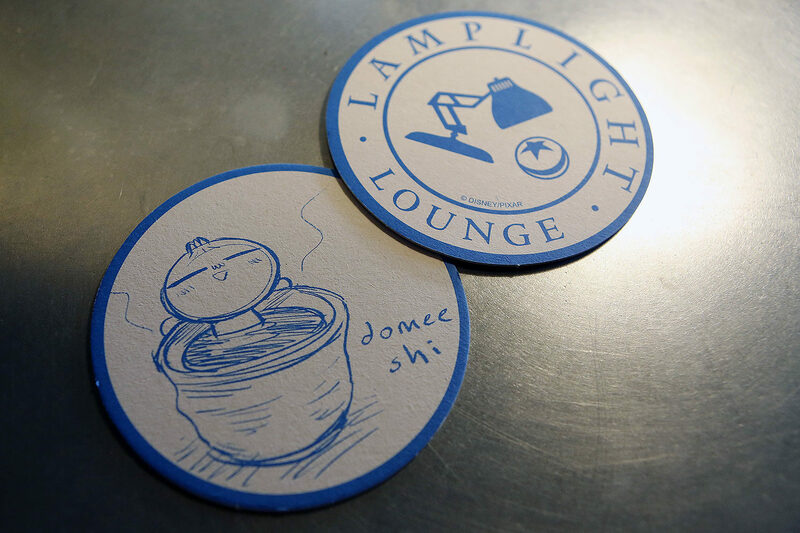 A real highlight are the coasters, all with a different sketch from a Pixar artist. 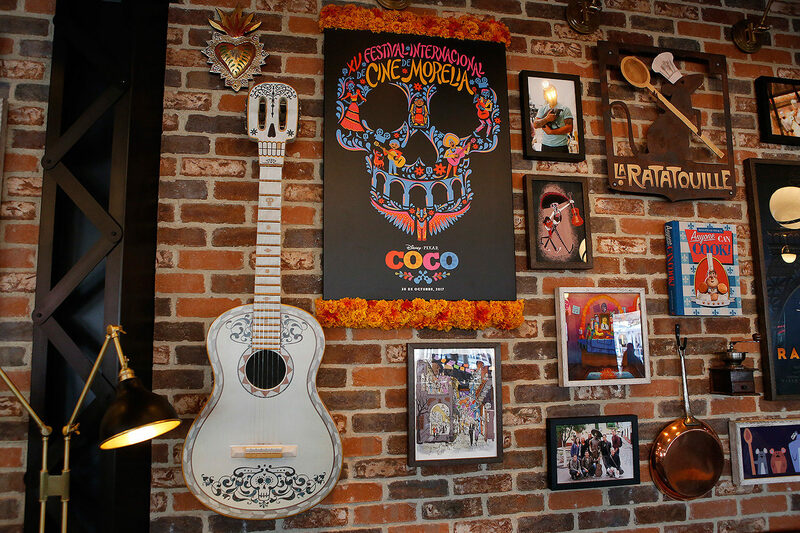 If there is a downside about the restaurant, is that it possibly doesn’t go as far as I’d want it to go. 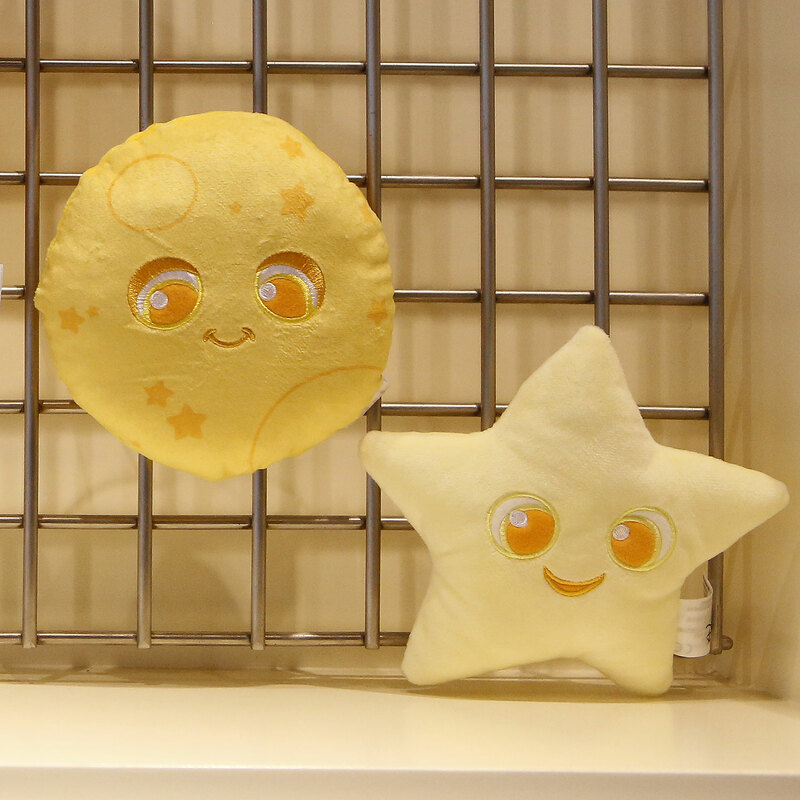 Here’s a real opportunity to create some fun dishes that are not only good, but visually amazing. 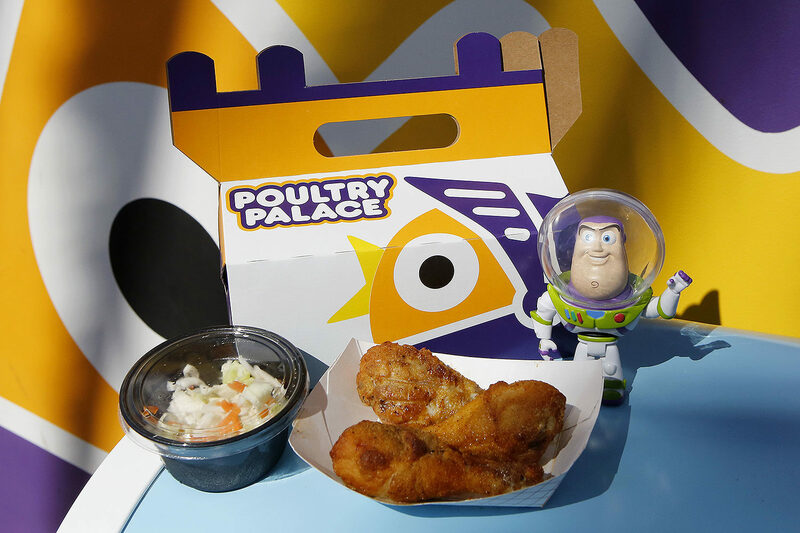 In the states we have yet to even come close to how food is presented in the Asian Disney Parks and here I thought we’d get a taste of it. 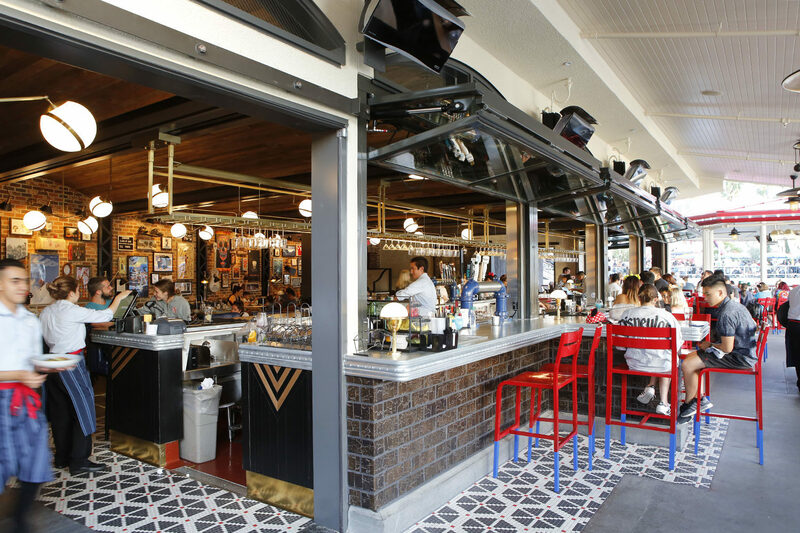 Another slight disappointment is the old Cove Bar upstairs, which barely received anything new to make it different than what came before. It still looks about the same, just with updated signage and photographs. Here’s another opportunity to make the upstairs as fun to visit as the downstairs. 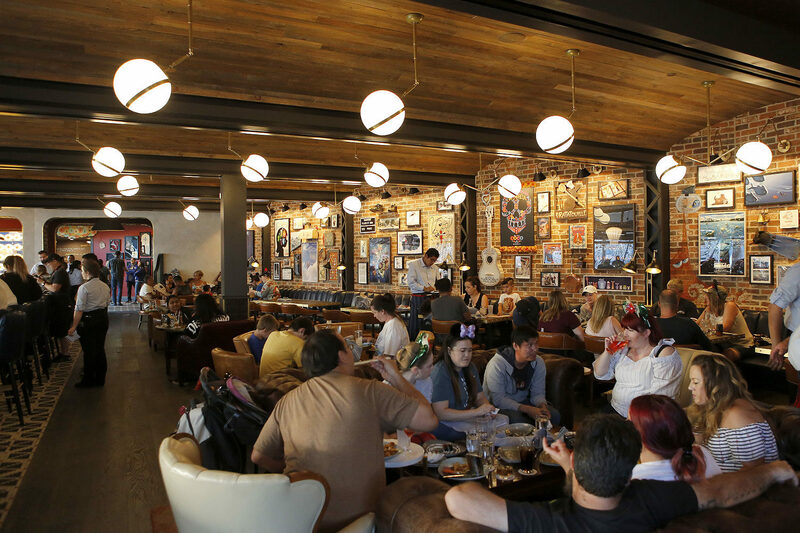 The upstairs of Lamplight Lounge below. 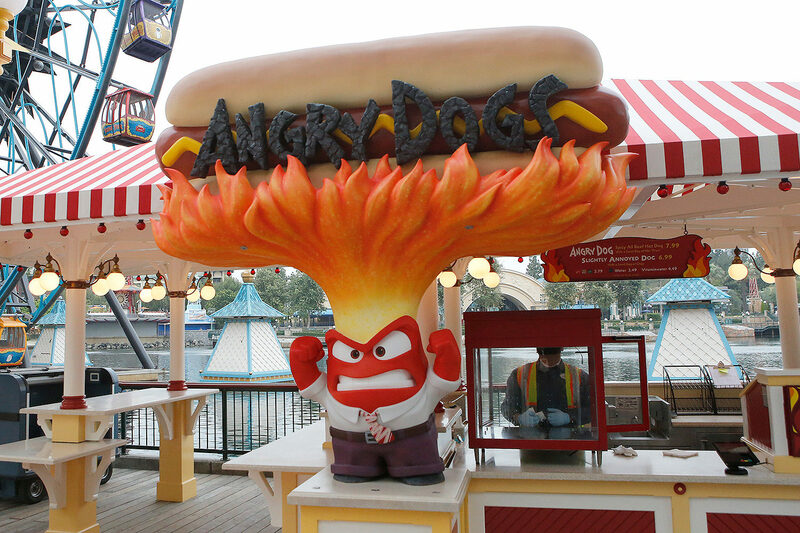 On the subject of food, there’s a few more snacks you can get while at Pixar Pier. 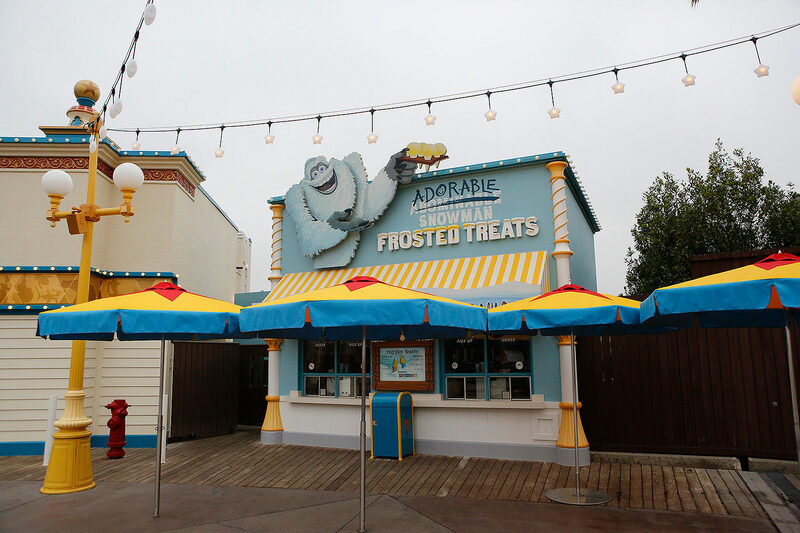 You’ve already seen the Adorable Snowman Frosted Treats that opened early, but as you walk through Pixar Pier you’ll encounter deep dish cookies, chicken, churros, and hot dogs, all featuring Pixar characters. 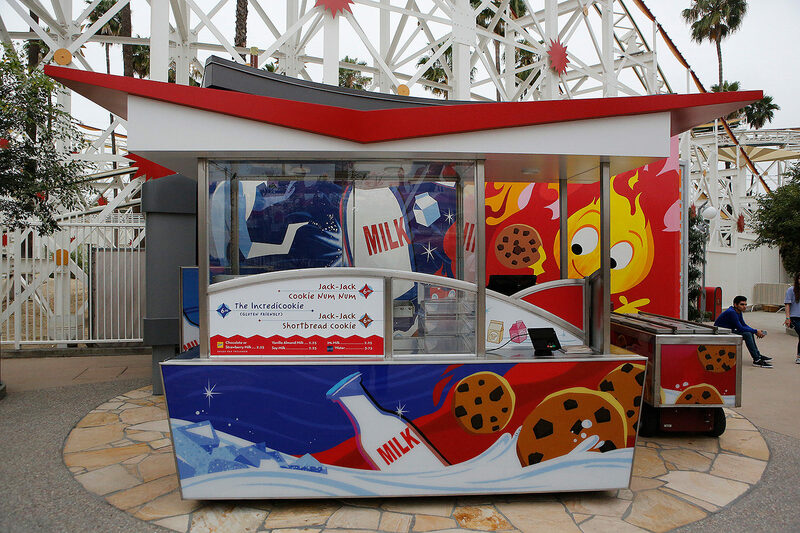 Jack Jack Cookie Num Nums – make sure you eat AFTER you ride the Incredicoaster… or else you may toss those cookies! 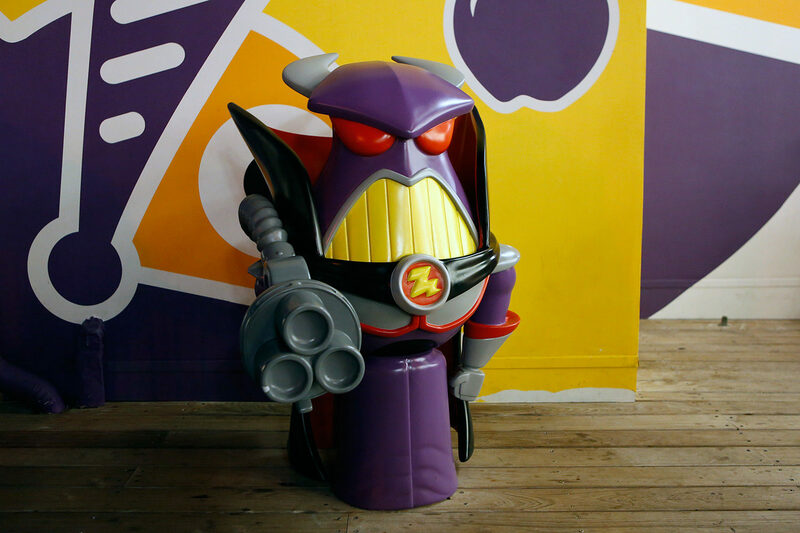 A fun Zurg toy has been placed next to the building. 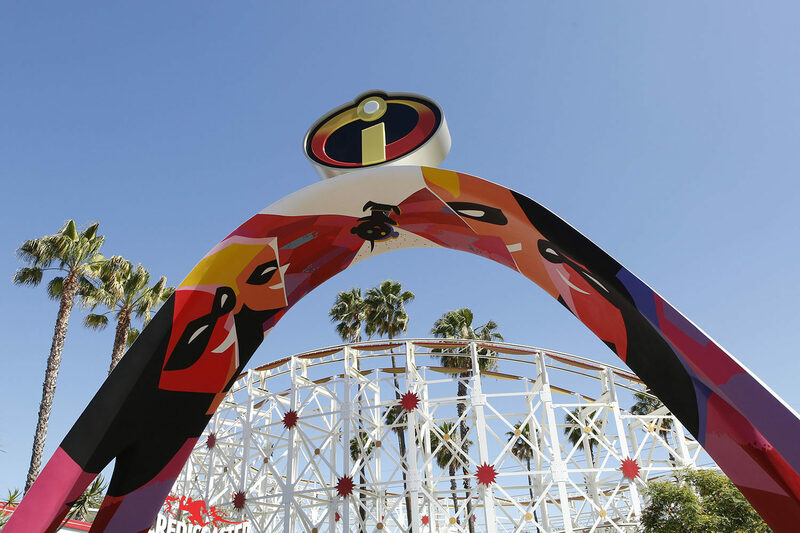 The main new attraction at Pixar Pier isn the classic California Screamin’, but with an Incredibles overlay. 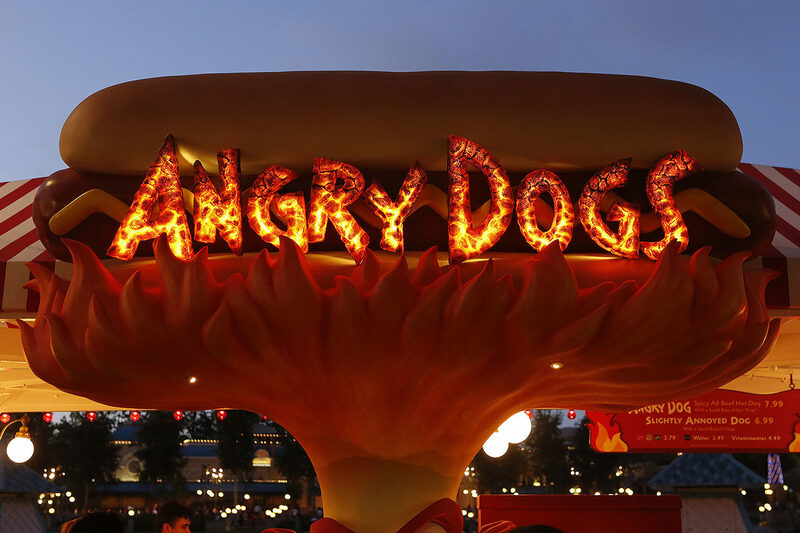 The super fun coaster without a story gets one, as the family of supers tries to find Jack Jack. 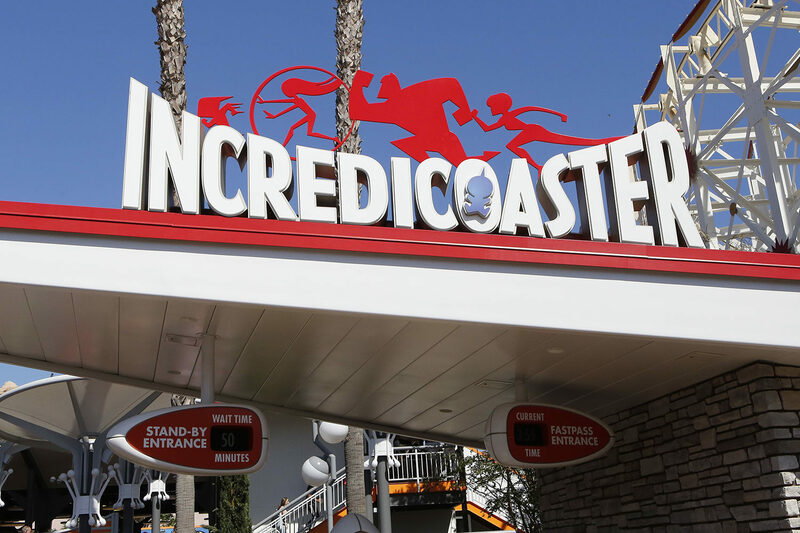 The Incredicoaster is still as fun as always but with the accompaniments of Michael Giacchino’s score, it’s definitely a better attraction overall. 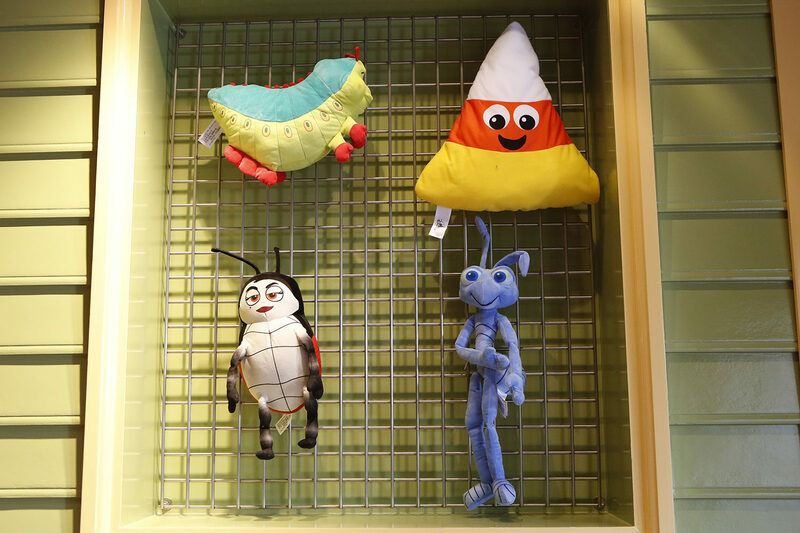 At the new Games of Pixar Pier, guests can try their luck at winning some unique Pixar prizes! 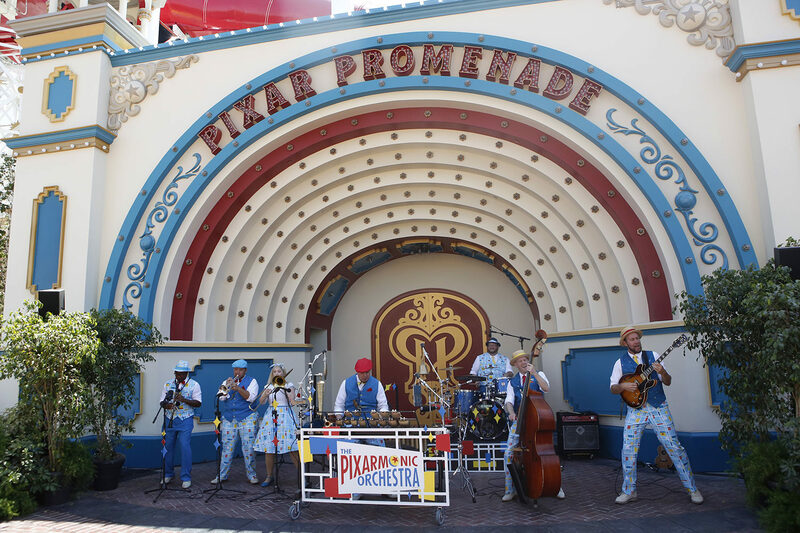 For entertainment, stop by the Pixar Promenade to listen to the musical stylings of The Pixarmonic Orchestra. 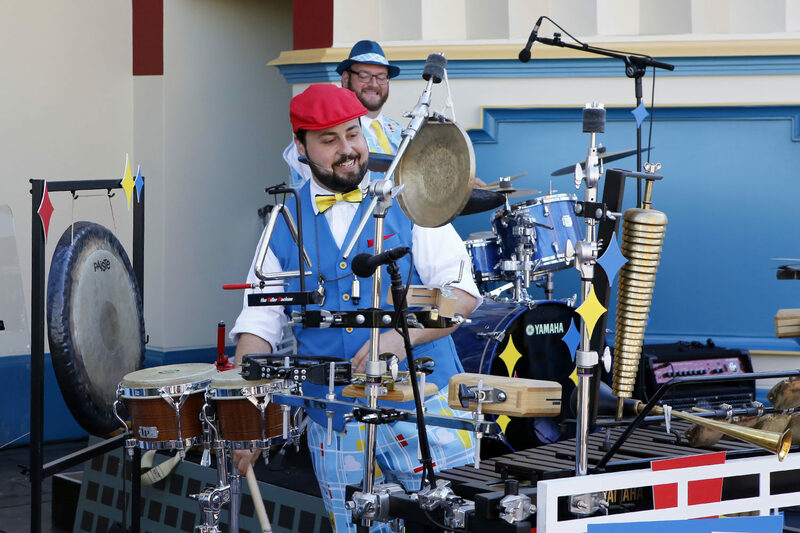 Hear this small band jam through some of your favorite Pixar tunes. 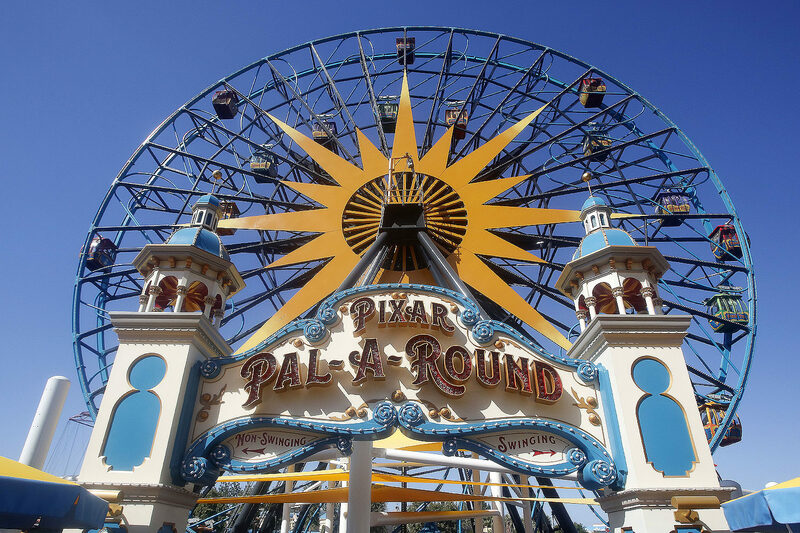 Across the way is the Pixar Pal-A-Round, the unfortunate new name of Mickey’s Fun Wheel (who still graces the other side). 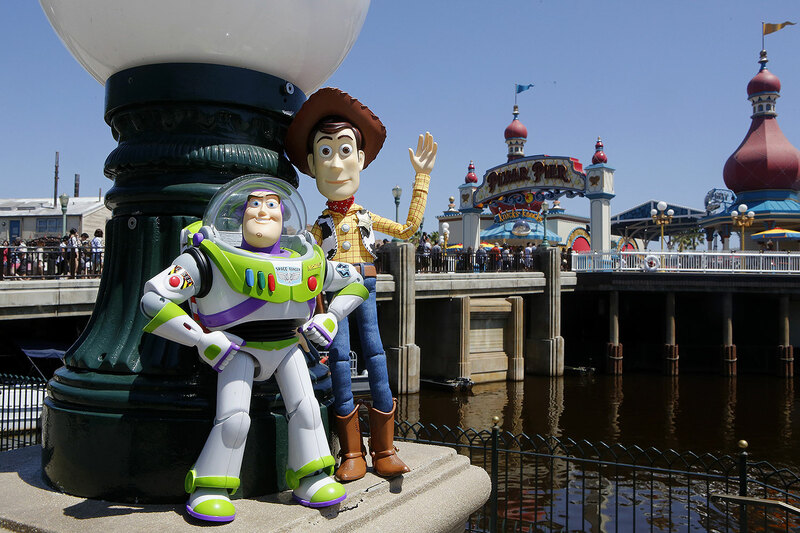 Twenty four Pixar characters are graced on each gondola. Swinging or non-swinging are still your choices here. 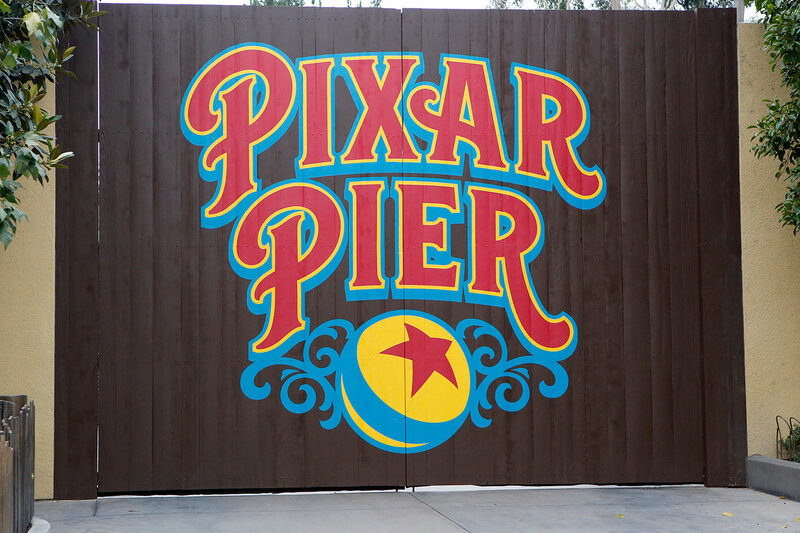 The tour of Pixar Pier comes to a halt here, but that’s not all for this new land. 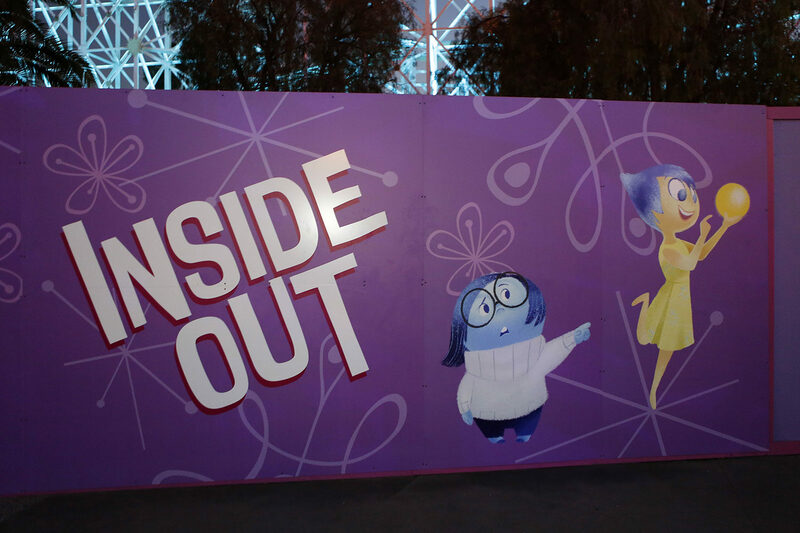 Coming up is still an Inside Out neighborhood with a candy shop and a spinner attraction called Inside Out Emotional Whirlwind. 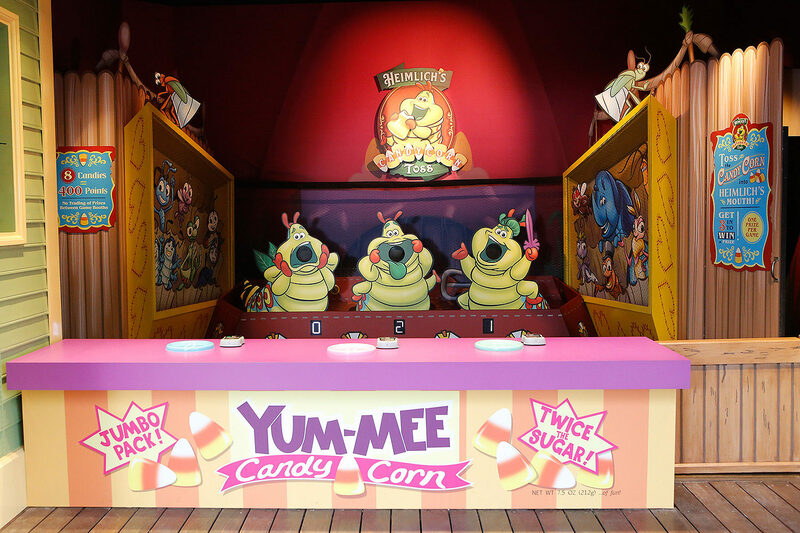 If you’ve ridden Flik’s Flyers in A Bug’s Land, you might be familiar with the attraction coming next year. 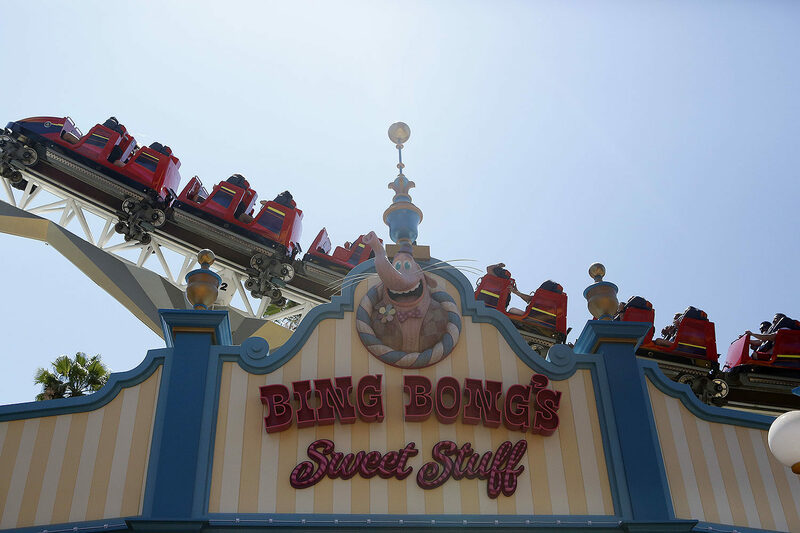 Arriving sooner than that though is Bing Bong’s Sweet Stuff, slated to open late this summer. 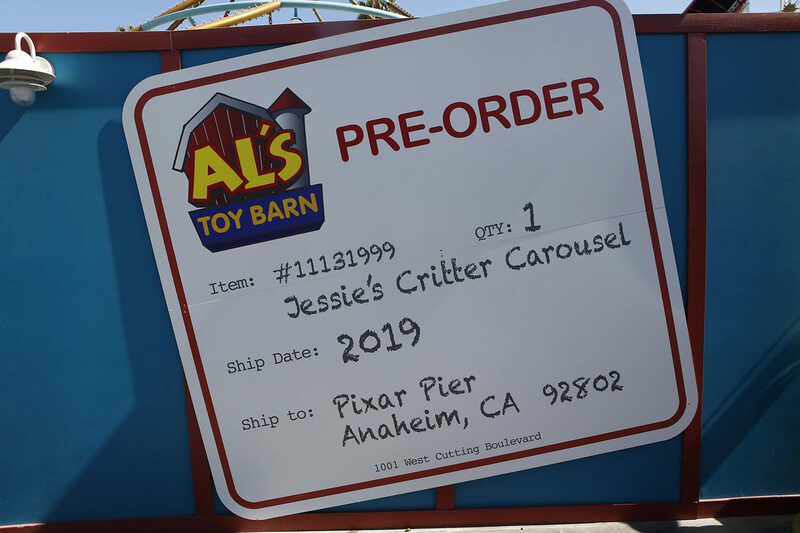 Also coming in 2019 is Jessie’s Critter Carousel, replacing King Triton’s Carousel of the Sea. Note the item number is Toy Story 2’s release date. 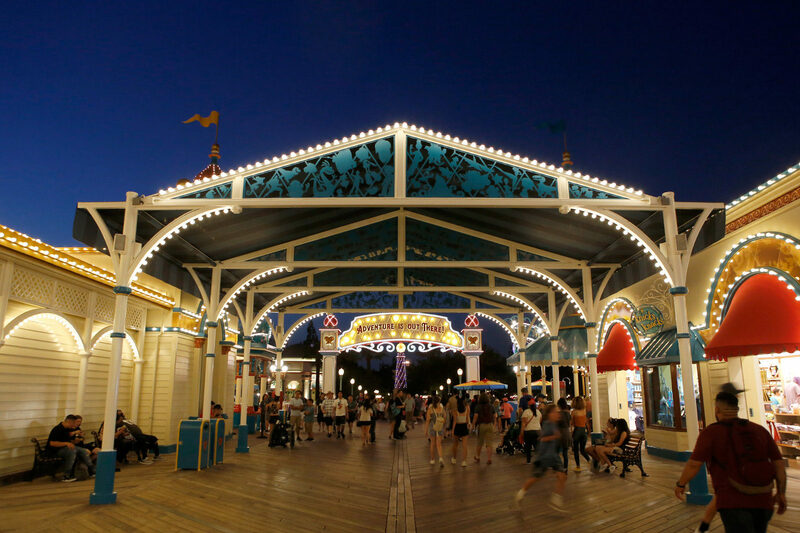 Final thoughts on Pixar Pier is a mixed bag but mostly positive. 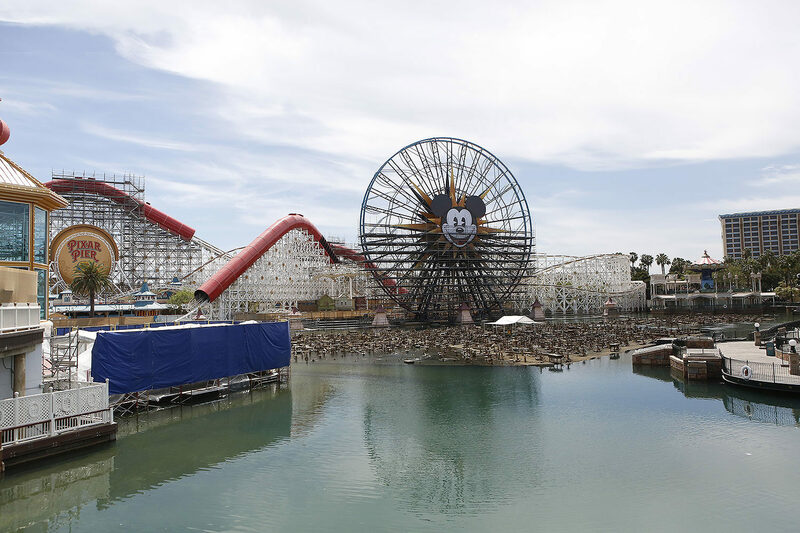 It’s mixed partially because it isn’t finished yet, so it’s hard to fully appreciate all the new details put into it, but the land doesn’t need to be finished to get a sense of what it’s going to be like after. 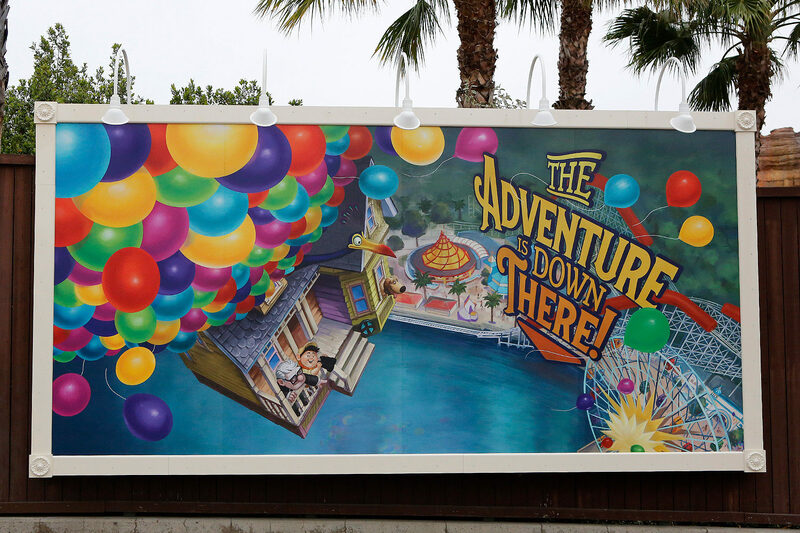 It’s still going to be Paradise Pier but with Pixar decorations. 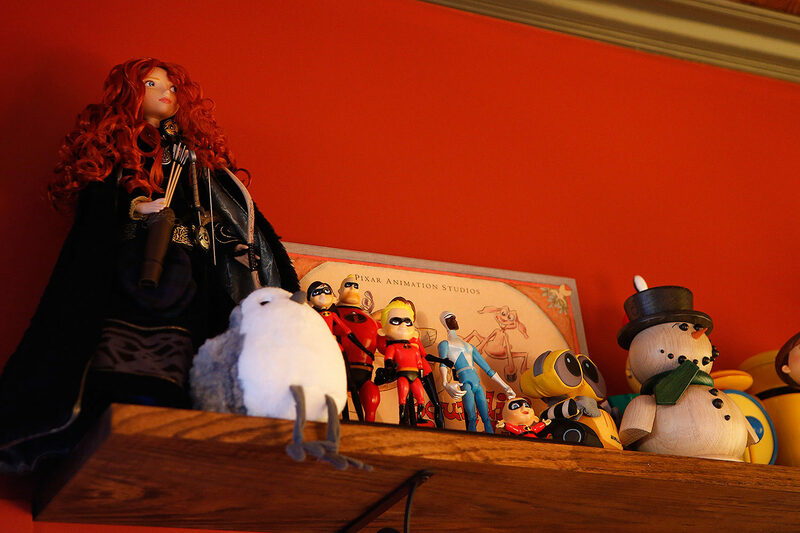 It’s cute and fun but I feel that because there’s so much more to Pixar, fans will always be wanting something more. The neighborhoods for example don’t seem necessary. 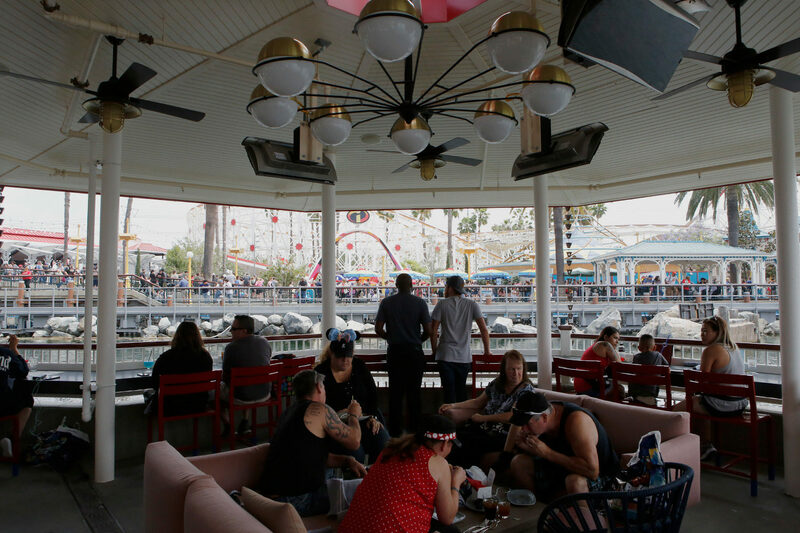 A typical amusement park is all over the map and Pixar Pier should be no different. 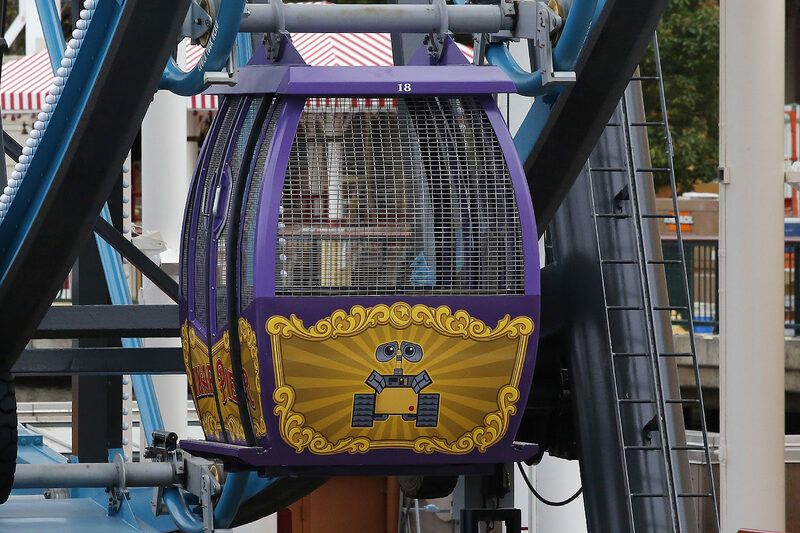 Instead of Jessie’s Critter Carousel, how about a WALL-E Carousel with reject robots? 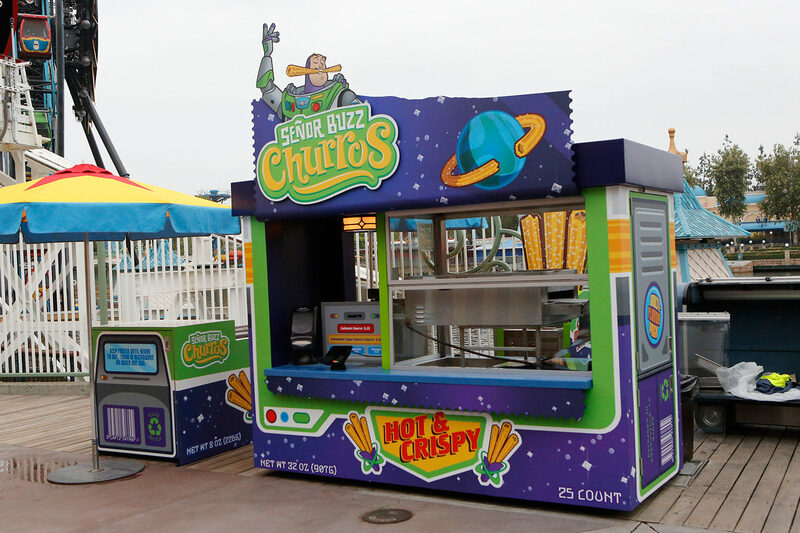 Señor Buzz Churros could have been inspired by Coco. 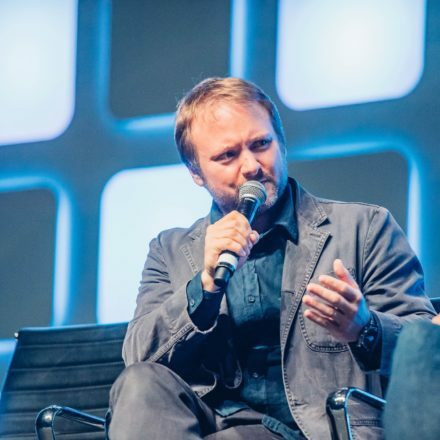 The list of what is possible goes on and on. 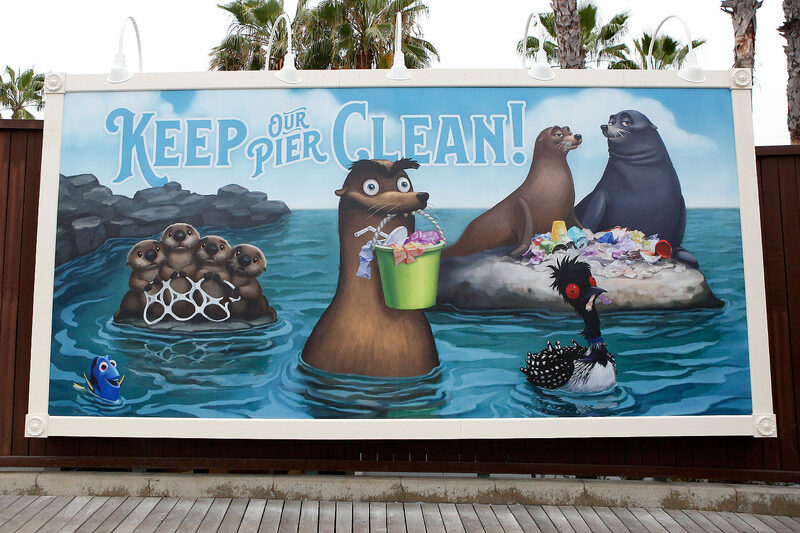 I do hope that when a new Pixar film debuts, Disney won’t be shy about making its presence known in Pixar Pier. 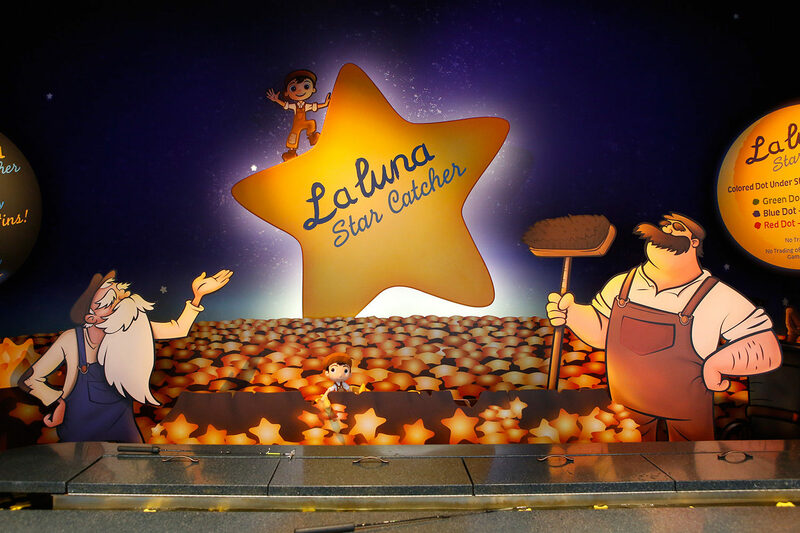 That’s one way to always keep the land fresh and unpredictable… in a land that’s very predictable. But I think what the land truly needs is another good ride, like a fun house. But in the end, visually, it’s certainly an upgrade from what it used to be. 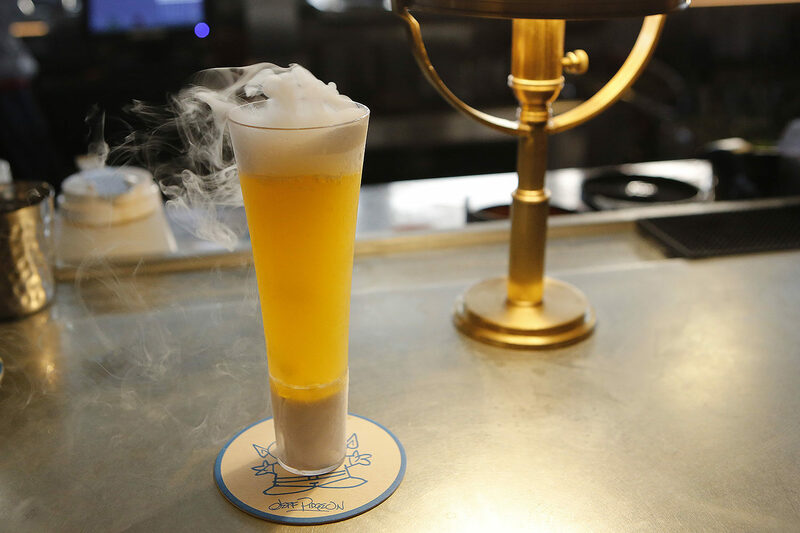 At least for me, the drinks at Lamplight Lounge are all that I need.